Xiaomi has launched some of the best budget friendly devices till now, and today, the company did something that no one had expected. 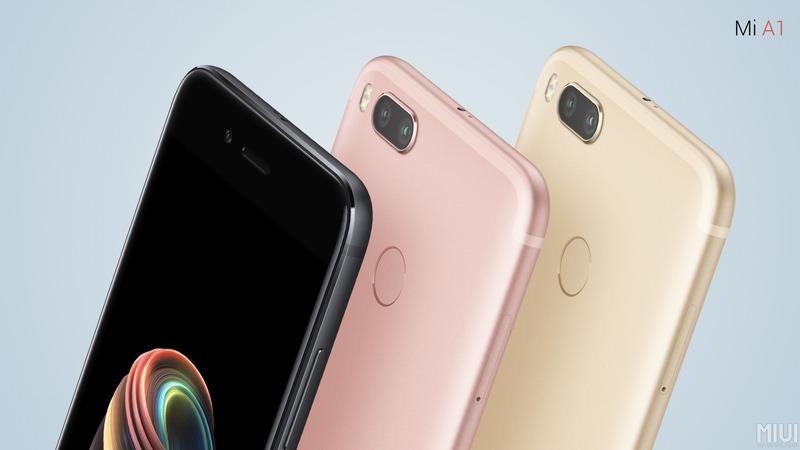 Today, the Xiaomi MiA1 was launched, which brings stock Android experience to the Xiaomi Devices. 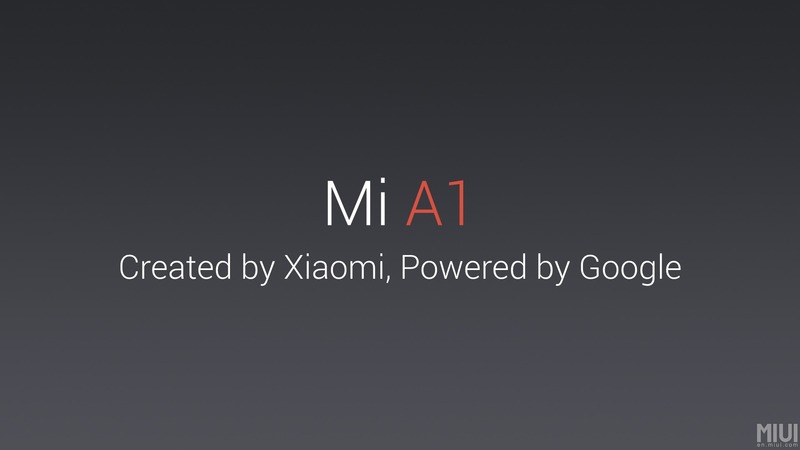 So, the MiA1 doesn’t have any MiUI running on it as Xiaomi ditched it for the stock Android UI. The phone has been launched under the Android One series that promises the best and smoothest stock Android experience along with guaranteed future Android updates. 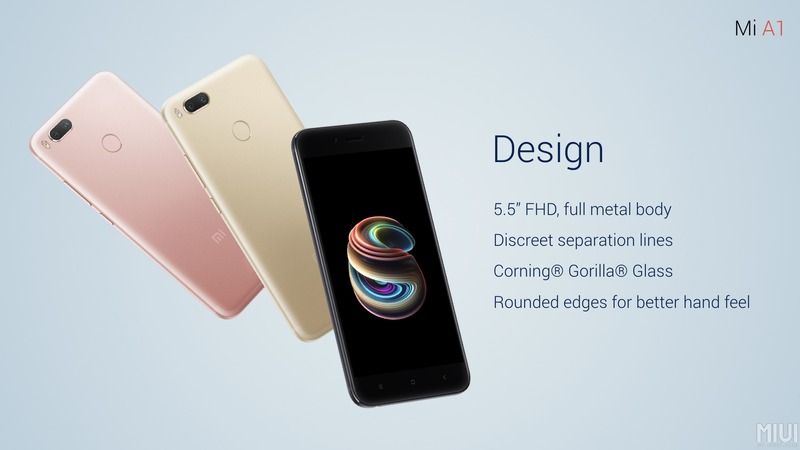 For those who don’t know, the MiA1 is just a rebranded Mi5X with stock Android. 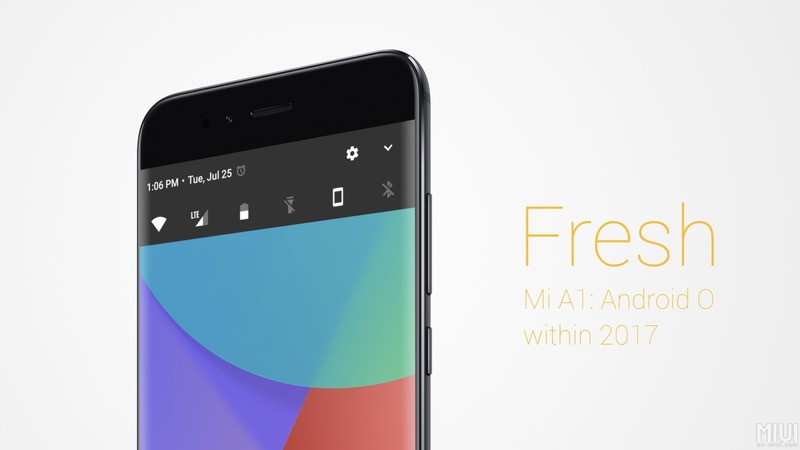 So, there is no difference in the design as well as the specifications except for the fact that there is no MiUI now. 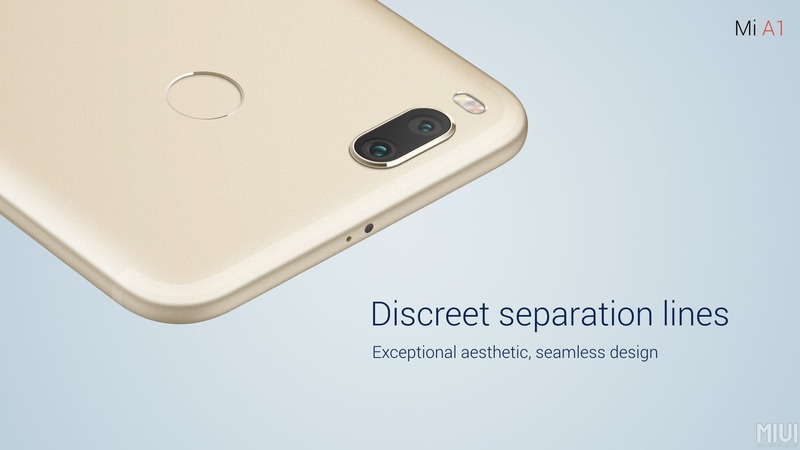 Starting with the design, there is no difference when we compare it with the Mi5X. It has the same unibody metal design with rounded edges that ensure a good grip. There is also a 2.5D Curved glass on the top of the display. It is slim, just over 7mm in thickness and weighs a mere 168g. The phone has a dual camera setup on the back with dual LED flash and below that is the rear facing fingerprint scanner. On the bottom, Xiaomi MiA1 features USB Type-C Port, Speaker Grill, primary mic and 3.5mm headphone jack. On the top, the phone has IR Blaster and secondary mic. There are three capacitive touch button below the display. Overall, it is a well-built phone. You will see ‘Android One’ branding on the back of the phone, showing that this is an Android One device. One of the main highlights of the phone is the camera. 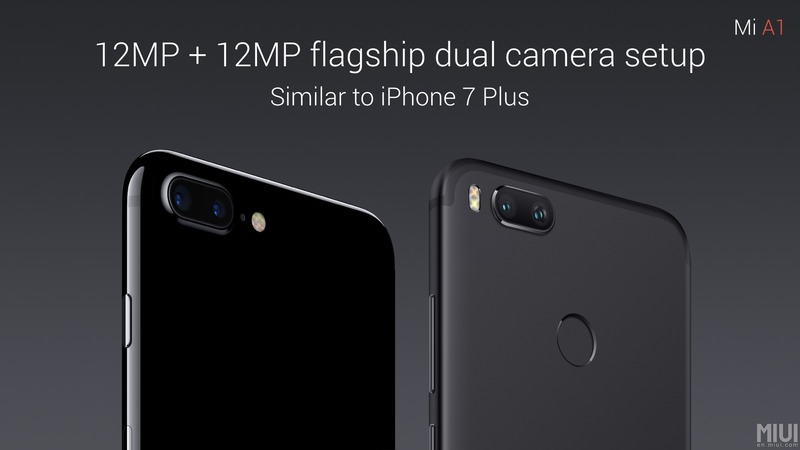 At the event also, the company compared the cameras of the phone with those on the iPhone 7 Plus. 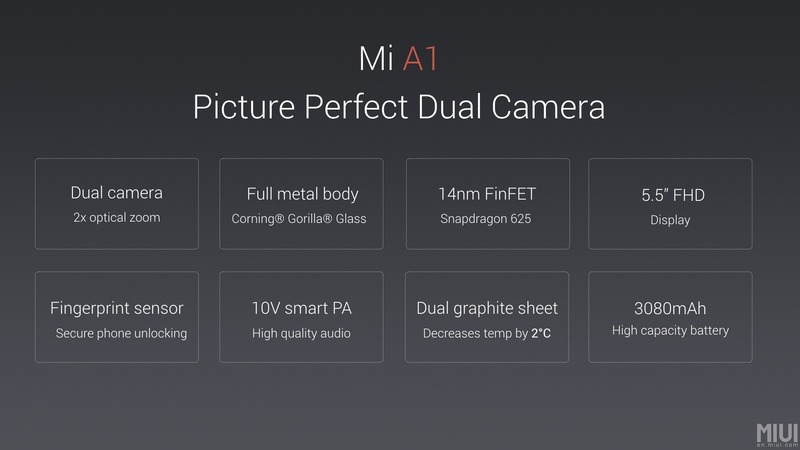 The Xiaomi MiA1 comes with the MIUI camera app and Google Photos. So, all you have to do is to take a shot on the camera app powered by the MIUI, and all of your photos will be automatically backed up in your Google Photos folder that oﬀers unlimited, high-quality storage. With Android One, Xiaomi guarantees monthly security updates too. Also, the phone will be among the first to get Android P Next year. Starting from India, all Mi A1 phones will come with dual pyrolytic graphite sheets which will help diﬀuse and radiate heat quickly. The Xiaomi MiA1 is priced at Rs.14,999 which means it is the perfect Moto G5S Plus and Lenovo K8 Note Killer. The phone will be available from September 12th on the first sale online and soon; the phone is coming to offline retailers also. It will be available online exclusively via Flipkart and Mi Home. Lastly, the color options include Black, Gold and Rose Gold. What are your views about the phone? Do let us know via the comments section.